The 2018 Classic Car Run will be starting from Greenwich Park. Participants will have time to explore this fantastic location before being waved off with the Union Flag. The finish line is on Madeira Drive in Brighton, where the Veteran Car runs ends, just next to the famous pier. 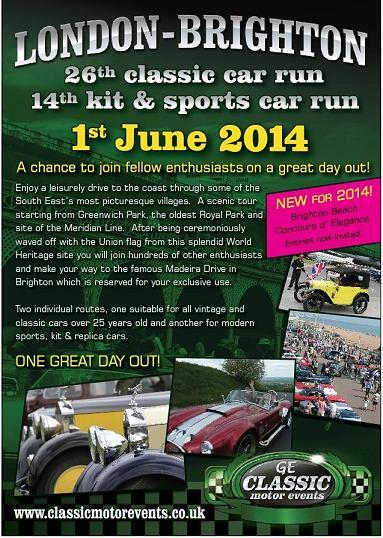 In Brighton you will have time to enjoy the rest of your day, with VIP reserved parking for all entrants. The day ends with a short awards ceremony to include best period dressed participants, longest distance travelled and a few other special awards on the day.